Government should not be allowed to take control of pregnant women and decide where they should live, what they should eat, or what treatment and medical care they should or should not have. Wisconsin's Unborn Child Protection Act (Act 292) allows the state to deprive women of their fundamental rights during pregnancy, and no matter where you live, you should be deeply concerned. 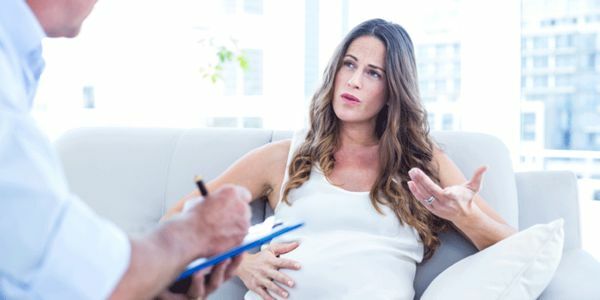 Under this law, Wisconsin can take certain pregnant women into custody, appoint a lawyer for her embryo or fetus but not the pregnant woman, lock the pregnant woman up in a jail or a mental hospital, and/or subject her to forced treatment. Act 292 was ruled unconstitutional, but was kept in place due to the efforts of former Governor Scott Walker (R-WI) and former Attorney General Brad Schimel (R-WI). But, the 2018 election brought change to Wisconsin. Reproaction is demanding that Wisconsin Governor Tony Evers (D) honor the constitutional and human rights of women and people who can become pregnant by directing all counties to immediately stop enforcing Act 292. Tell Governor Evers to take immediate action to stop enforcement of Act 292, and pledge to fight for the health and rights of all people who experience pregnancy. Under Act 292, Wisconsin can take certain pregnant women into custody, appoint a lawyer for her embryo or fetus but not the pregnant woman, lock the pregnant woman up in a jail or a mental hospital, and/or subject her to forced treatment. Government should not be allowed to take control of pregnant women and decide where they should live, what they should eat, or what treatment and medical care they should or should not have. During a period of four years of your predecessor's time as governor, more than 1,600 cases were referred for investigation under this regressive law. Governor Evers, you have said you are a supporter of women's rights. That must include women who drink alcohol or use drugs, who admit to past use of such substances, as well as women of color and low-income women who are excessively targeted for punishment. I urge you to take action now to ensure all women and people retain their fundamental rights during pregnancy by directing Wisconsin to stop enforcement of Act 292.